Private boat, no banks included This is a beautiful boat for anyone that enjoys luxurious high performance cruising in style with friends or family. This Aicon 64 is fantastic Boat that has been professionally maintained since new and is in excellent condition. She has only completed approximately 450 hours use & has a comprehensive list of specifications. Fitted with Twin MAN V12 engines, each producing 1244 HP she is a very capable, spacious & luxurious cruising boat. The Aicon 64 has contemporary & practical design features & thoughtful use of space throughout. She has a huge flybridge complete with barbeque & wet bar, a large cockpit with steps leading down to her hydraulically operated Hi Lo bathing platform. Inside, she has a bright, modern & stylish feel with solid wood cabinetry throughout. 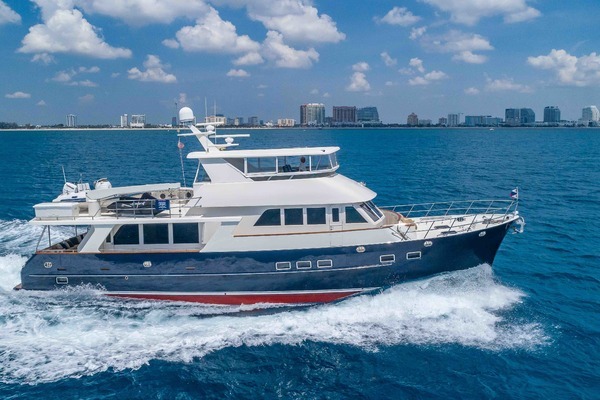 She has a fantastic full beam Master Cabin with en-suite, a VIP Guest suite, also with its own en-suite and two further guest cabins and crew quarters. United Yacht Sales New Jersey would love to guide you through a personal showing of this 64' Aicon 64 2007. This yacht for sale is located in Unknown Italy and priced at $400,000. For a showing please contact us by filling out the form on this page and we will get back to you shortly!